A powerful and rich wine with super concentration and length. Deep and very rich. Glorious blackberry and black chocolate. Full and super velvety. A creamy texture of stone, chalk and lemon rind from the tannins and acidity. Wow. Loving it. The caressing character is so memorable. 80% merlot and 20% cabernet franc. Pomerol, Vieux Château Certan 2015 is a blend of 80% Merlot,, 19% Cabernet Franc and 1% Cabernet Sauvignon, cropped between September 17 and October 2 at 42 hectoliters per hectare. The IPT is healthy 83 and the pH is 3.72, the alcohol 14.6%. Enough statistics. What you need to know is that it is a beguiling Pomerol that will set hearts aflutter. 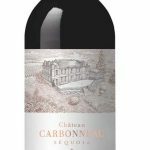 It is bridled with a heavenly bouquet with intense red and black fruit, black truffle and a touch of smoke, opening wonderfully in the glass; the Cabernet Franc is very expressive and imparting a licorice note after ten minutes. The palate is medium-bodied with intensity, with a killer line of acidity that imparts freshness from the very start. There is life-affirming tension interwoven throughout this extremely complex wine from Alexandre and Guillaume Thienpont. 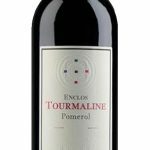 There are layers, more like a mille-feuille of blackberry, boysenberry, mineral, truffle and a touch of spice towards the finish, just a touch of warmth from the alcohol that merely complements an extraordinary and profound Pomerol. Drink 2025-2060.